North Charleston is located just north west of the Charleston Peninsula. This is the main industrial, commercial, and transportation section of tri-county Charleston, so you won't find as many homes for sale. Two of the most popular neighborhoods are Coosaw Creek Country Club (the only golf community in the area) and Park Circle (an up and coming neighborhood that's become trendy in the past few years for its fixer upper homes). 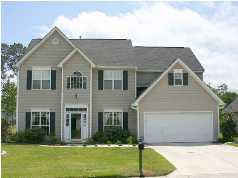 Are you looking for specific features in a North Charleston home? Between the antebellum charm of Charleston's downtown, the cool marsh views of Daniel Island and the bustle and flow of West Ashley lies the economic heart of Charleston County and much of the Lowcountry: North Charleston. With its fixed industrial presence along Interstates 26 and 526, North Charleston has long been perceived as the blue-collar, working class counterpart to Charleston's more genteel suburbs. But a sea change has taken place between the 1970's and today with North Charleston coming into its own, on its own terms. North Charleston offers a wealth of real estate opportunities and possibilities to a purchaser that is willing to look a little deeper. Not only are large development communities springing up to meet the demands of the market, but older neighborhoods are beginning to see an influx of buyers and renovation at an unprecedented rate. Houses in these revitalized neighborhoods can show a quality of construction often not found in today's newer homes, all in a colorful and vibrant atmosphere. Buyers' newfound interest in this area is a combination of location, development and opportunity. Interstate 526 gives North Charleston easy access to all of Charleston's outlying suburbs; Interstate 26 is a direct outlet to the Midlands, the Upstate and all of the southeast United States. The Charleston International Airport offers those with a touch of wanderlust convenient access to both national and international locations. 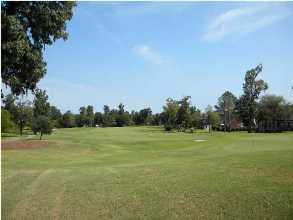 Coosaw Creek Country Club is the only golf community in North Charleston. In addition to a full range of amenities, buyers tend to really like the large lot sizes and the feel of this gated community. Also, most of these houses have brick exteriors, which is hard to find with newer construction in the under $500K range in Charleston. Coosaw Creek was established in the early 1990s. Since these homes were built over the course of about 20 years, you'll find a range of home styles to choose from unlike many other newer communities where the builders only rely on a handful of floor plans for the entire neighborhood. 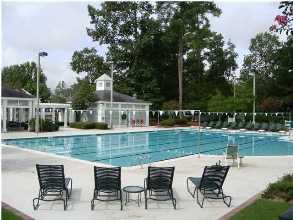 Coosaw Creek amenities include a Junior Olympic swimming pool, which is home to the Crocodiles swim team (ages 7 to 18). 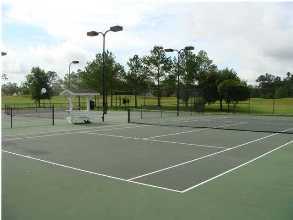 The community also has a tennis court and a backetball court. This gated community has a security guard on duty 24 hours a day. Park Circle gets its name from the circa 1912 park which serves as the intersection of 4 major roads: Durant, Buist, North Rhett, and East Montague Avenues. Park Circle was one of the country's first planned communities, and it was designed to serve the area's residential, commercial, and industrial needs of the early 20th century. During World War II, the Charleston Navy Yard brought with it the largest expansion that the area had seen. When the naval base closed in 1996, many people expected the local economy to buckle. However, as Charleston's real estate prices have soared over the past twenty years, Park Circle has undergone a revitalization process from buyers looking for more affordable homes for sale. 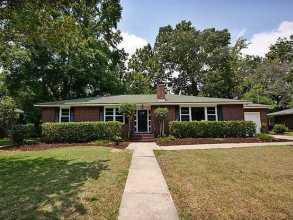 If you're looking for a fixer upper house in the under $200K price range, Park Circle has a great selection of mill style houses and brick ranch homes. Most houses are within walking distance of the commercial downtown section of Park Circle, which has a good selection of restaurants (some of our favorites include Sesame Burgers and EVO pizzeria). This section is also home to the Half Moon Outfitters corporate office and headquarters as well as smaller businesses like the nearby COAST Brewing Company. Park Circle has become a model for revitalization in the Charleston area. The steady demand from home buyers is expected to not only raise home values in coming years but also result in more commercial development to meet the changing needs of today's residents. Whitehall is another popular neighborhood in North Charleston, especially for buyers wanting a newer home with more square footage. Most of these homes were built between 1995 and 2005, and they have an average size of about 2,200 sq ft. The only amenities in Whitehall are a swimming pool, play park, and tennis courts, so this is a great neighborhood to consider if you want the basic amenities and are trying to maintain more affordable HOA fees. Whitehall is located off Dorchester Road in North Charleston. 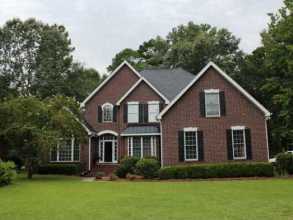 Buyers are often surprised to learn that the majority of homes for sale in North Charleston are detached houses. Because real estate in this area is priced so low, most buyers opt for the space and privacy that a house provides simply because they can afford it. Over the years, this trend has resulted in fewer condo and townhouse communities being constructed. The most popular of these neighborhoods tend to be Lake Palmetto, University Park, Oak Bluff, The Park at Rivers Edge, Reverie on the Ashley, and Coosaw Commons. 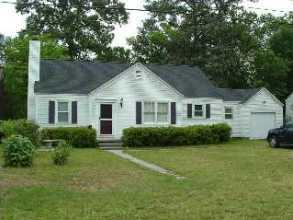 North Charleston real estate has also grown in part because of the many things to do in the area. There are lots of stores in North Charleston, from strip malls that have stores like Barnes and Noble and Old Navy to the local shopping mall (Northwoods Mall). 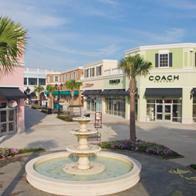 North Charleston also has the only outlet mall in the Charleston area, the new Tanger Outlets (pictured). The revitalized downtown section of Park Circle offers a good selection of independently owned shops and restaurants in the otherwise large scale commercial North Area. There are also concerts, sporting events, and various theater productions at the North Charleston Coliseum and the Performing Arts Center. The North Charleston Coliseum is also home to the South Carolina Stingrays, Charleston's professional ice hockey team. North Charleston Wannamaker County Park has playgrounds, a water park, picnic sites, and two miles of paved nature trails. The main tourist attraction in North Charleston is the Hunley submarine, which was excavated from the Charleston Harbor in 2000. Also, North Charleston is about 20 minutes from downtown Charleston and about 30 minutes to the closest beaches, which are Isle of Palms and Sullivan's Island. North Charleston has a large and varied job market, and it has some of the most jobs in the Charleston area. Some of the biggest employers in North Charleston are Bosch, MeadWestvaco, the airport, Trident Medical Center, and the Charleston Air Force Base. Real estate has experienced quite a bit of growth in the past few years in this area in response to the many jobs available. North Charleston real estate around the Air Force Base is one of the fastest growing markets in this part of Charleston.